I received a “Dear Abby” in the mail yesterday; it was from me. I had written it on the last day of a yoga retreat I attended with my mother, just five weeks ago, and, like many things I do, I had forgotten about it. As I started reading, however, the feelings I had when I wrote the letter came back to me. It was the end of a five-day respite from society, a break from my friends and family asking me, “So you’re done with grad school – what next? !” Prior to coming on the retreat, I had decided to move across the country to Portland, OR – big news, considering I had never lived more than an hour outside of Rochester, NY. I had thought this decision was momentous enough, but apparently everyone I spoke with wanted to know more: What would I do there? What if I didn’t get a job? How was I going to get to Portland? Was I sure I wanted to sell my car and most of my belongings? While I had once felt confident in my decision to move, these questions left me shaken. Perhaps I had not thought everything through; perhaps this was one of those ideas that sounded romantic and wonderful in theory, but in reality would leave me feeling foolish and desolate. But throughout the retreat, and especially as I wrote myself this letter, I calmed back down. Was every detail worked out? No. Was I sure that moving felt right? Absolutely. To a degree, I wrote to myself, I revel in being unsettled – it gives me energy, keeps my looking forward, keeps me from falling asleep (literally and figuratively). But maybe, even in that unsettled state, I can find sure footing, and remember how soothing it can be to stand on the edge, water lapping at my ankles. 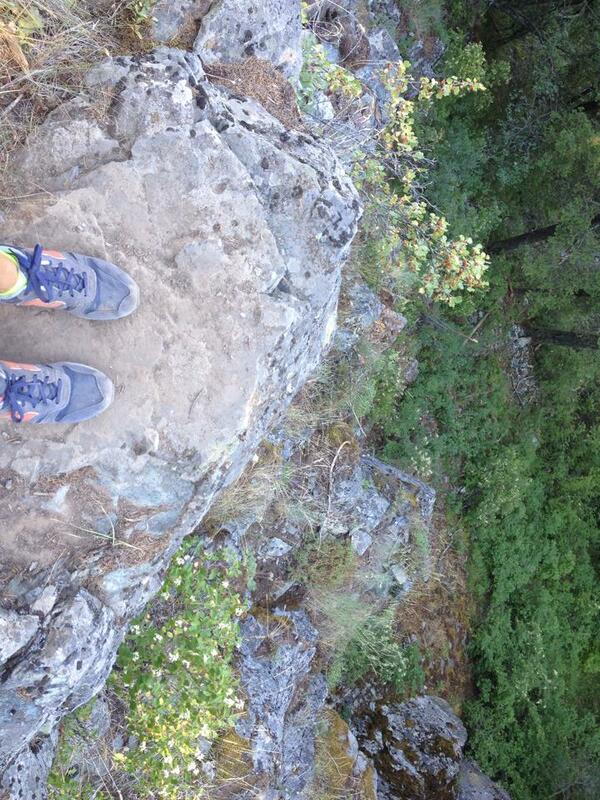 Three weeks into my Portland adventure, I have begun to find my footing. I am still what you might call “unsettled” – I spend the majority of my days job-searching, writing and rewriting cover letters and resumes, and asking myself what I want to do with my life. I have applied for Language Arts and Special Education jobs, jobs teaching yoga, am about to apply to AmeriCorps (again), and am considering applying for service jobs. I ask myself each day what my goal is: Do I want to work steadily toward my dream job now (owning and operating a yoga studio that caters to adults, kids, families, and athletes)? Or do I want to secure a steady, full-time income with benefits (through anything but self-employment)? Depending on my mood, my answer varies. And after reading my Dear Abby letter, I think this uncertainty is okay. I may not be settled, but at least I am not stagnant. Psychologist Barry Schwartz discusses the idea of “The Paradox of Choice”: when we humans are faced with many options, rather than feel excited, liberated, and empowered, we often feel overwhelmed, paralyzed, and discontent. UrbanDictionary.com discusses a related phenomenon called “FoMo”: the Fear of Missing out, often exacerbated by seeing friends’ social media postings about what great lives they’re leading. And just last week The Telegraph took this concept further with the introduction of “MoMo”: the Mystery of Missing out – you know, when your friends don’t post their status every ten seconds and you’re forced to wonder if their lives are better than yours. With today’s barrage of choices and social media postings, it is easy to feel that we don’t have enough, that our lives aren’t exciting in comparison to someone else’s, that we should have chosen or acted differently. Rather than feel defeated by all this, however, perhaps we can feel exhilarated. The fact that there are so many jobs to have, goals to set, and people to meet is a beautiful thing, so why not take comfort in it? Complete stillness, like absolute zero, exists only in theory; it is the transitions, the restlessness, the uncertainty, that keep us moving.